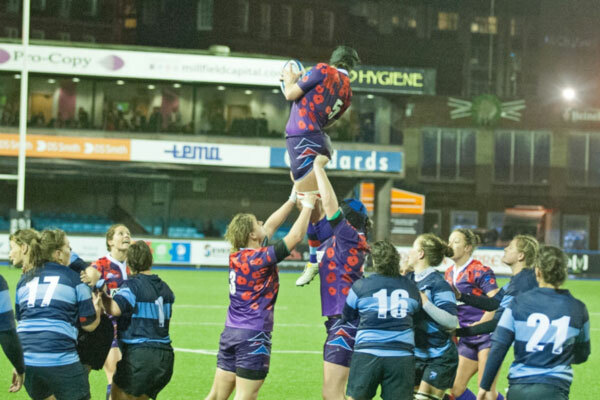 The Combined Services Women were edged out by Cardiff Blues on Friday night 17-12. The match drew a record crowd of several hundred and all stood in respectful silence as players from both sides lined up with match officials to hear the last post. The thoughts of all were with the fallen and injured of wars past and present, particularly poignant for the Combined Services players who had swapped uniform for rugby shirts and for whom remembrance is both tribute to those who came before and a personal act in memory of absent friends. The rain fell relentlessly throughout the act of remembrance and as the players turned to take their positions for the match it seemed certain to the crowd that the game would see little of ball in hand. How wrong we were. What ensued in the first half was a testament to the quality of the women’s game. 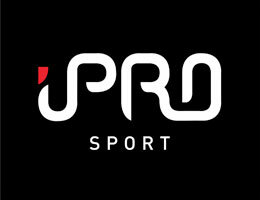 Flowing rugby, powerful runs, well executed rucks and some big hits in defence thrilled the crowd. The Combined Services were inspired, Cpl Jane Leonard (RE) drove through the centre of the pitch while Capt Chantelle Miller (AGC (RMP)) was always threatening on the wing. 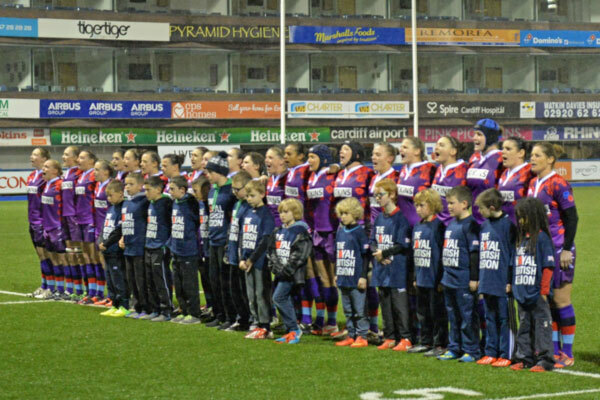 It was against the run of play that Cardiff Blues scored a penalty after 20 minutes, but Combined Services pressure saw Sgt Sarah Mitchelson (RLC) in for the first try of the match on 37 minutes, and Capt Gemma Rowlands converted (RA) to send the Combined Services in at half time 7-3 ahead. The second half saw the Cardiff Blues turn to attack. Some powerful running from the centres won the Blues territory, and as the Combined Services threw everything into defence Jane Leonard was given a somewhat harsh yellow card after 7 minutes of the second half. The Cardiff Blues took advantage of their extra player and crossed for their own try on 17 minutes and converted to lead 10-7. Leonard returned to the field shortly after, but Cardiff Blues made the most of the momentum from their previous try crossing the line on 22 minutes and converting to extend their lead to 17-7. As Cardiff Blues came again Chantelle Miller put in a huge tackle on the wing, knocking the momentum out of not only her opposite number but out of the whole Cardiff Blues attack. From then on it was all Combined Services. Lt Alex Harrison-Wolff (REME) replaced Capt Gemma Stonebridge-Smith (AGC (ETS)) and Jane Leonard launched a big Combined Services drive in the centre of the park as the Combined Services began to lay siege to the Cardiff Blues line. 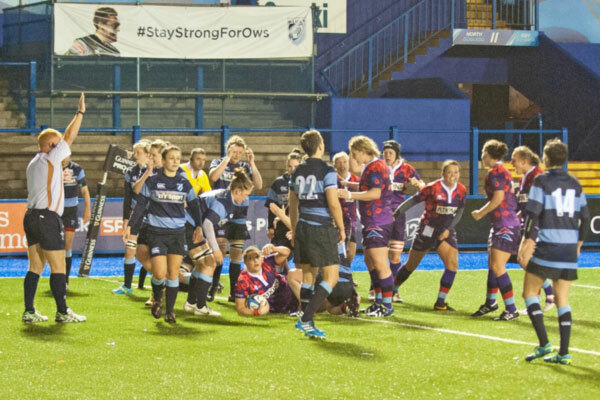 After a turnover by Cardiff Blues great CS defence caused the ball to come loose and a dexterous pick up and run by Gemma Rowland allowed CS to push the Blues back to their line again. Cardiff Blues number 10 Robyn Wilkins was yellow carded after further Combined Services pressure and with five minutes left the CS forwards went crashing through the blues to put Cpl Louisa Steer (RLC) over the try line to close the gap to five points. The conversion was missed and so the game restarted at 17-12. The Combined Services gave everything in the last few minutes to close the five point gap, coming close again and again, but Cardiff Blues’ defence was solid and as the final whistle blew both sides came together to acknowledge the efforts of the other. A fantastic exhibition of rugby had kept the crowd entertained throughout. Both sides deserved much credit for their performances. This was a poignant and moving occasion, a tribute to absent friends and fallen comrades and countrymen. The rugby was every bit the equal of so important an occasion and with performances like that the Women can expect an even bigger crowd and great occasion next year. The Combined Services squad had the pleasure of awarding 6 new caps to the Army (W) players; Lt Alex Harrison-Wolff (REME), 2Lt Jade Binskin-Barnes (RLC), Cpl Carrie Roberts (REME), Cpl Louisa Steer (RLC), LCpl Sarah Batley (AGC (RMP)), and Pte Ellie Gatlin (RLC). 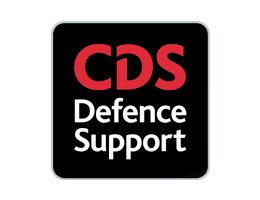 A special mention for Ellie Gatlin who has only recently passed out of phase 2 training and has now been successful in receiving a Combined Services Cap before receiving an Inter-Services cap which is an outstanding achievement to be proud of.